Every time it’s a different player, but the Josh Smith effect keeps pushing the Detroit Pistons forward, beating the Dallas Mavericks 108-95 behind a big night for both Greg Monroe and D.J. Augustin, making it seven in a row since waiving their troublesome forward. While Smith is doing rather well with his new team, the Houston Rockets, and the Pistons do have to pay a lot of money to him for waiving the contract which also means eating up cap space over the next few years due to the stretch provision, no one is really unhappy with how things are right now. The Pistons complete a double over two Texas teams, beating the San Antonio Spurs with a game winner from Brandon Jennings followed by an even more dominant performance against the Mavericks. Andre Drummond grabbed 19 rebounds, 7 of them on offense, as the Pistons dominated the boards with 18 offensive rebounds, outscoring the Mavericks 56-44 in the paint. Monroe led his team with 27 points, 18 rebounds and 6 assists. Jennings continues to be one of the least efficient players on the planet but did score 14 points to go with six assists, although he needed 18 shots to make those points happen. D.J. Augustin, one of the better scoring bench players in the NBA scored 26 points in only 22 minutes, while all the key players for the Mavericks shot in poor numbers, especially Monta Ellis with just 6-of-17 from the field, while Rajon Rondo scored just six points, back to being a non-factor on offense. 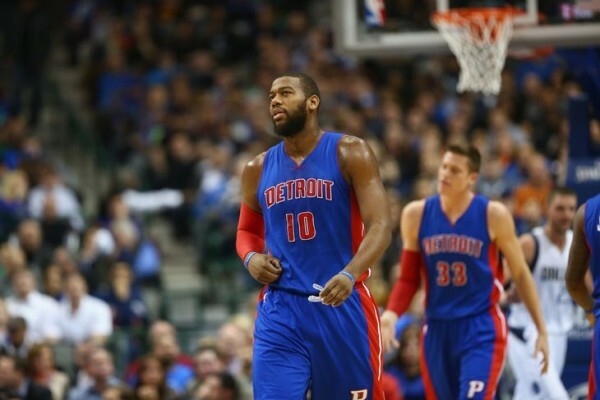 With the win, the Pistons are in sole possession of the NBA’s longest win streak. Both them and the Mavericks were undefeated since the Christmas break. The Pistons are the first team since the Spurs from the 1986-1987 season to be 18 games below .500 and go on a winning streak of at least seven games. This was also the first time they won in both San Antonio and Dallas in the same season since 1996-1997. Stan Van Gundy refuses to suggest the winning streak has anything to do with Josh Smith being released: I had no problems with Josh at all. Josh worked hard. Josh’s a 10-year vet. I wanted to give other people opportunities, and it was going to cut his time and take the ball out of his hands. I didn’t really think it was fair to him. I wonder how many people actually believe that.